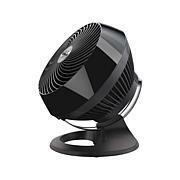 Recreating the classic 1945 design, Vornado combines form and function with this stylish fan that produces whole-room air circulation in any room. Vortex technology provides complete circulation of all the air throughout a room so you stay cool when the heat is on. 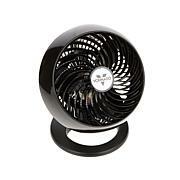 This Vornado Classic fan is great. 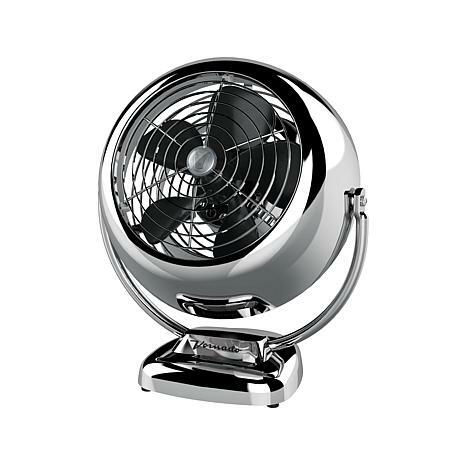 It works very well & is less noisy than other fans I have.I especially like the chromed metal construction. The fan is heavy & sturdy, well made, unlike so many of the cheap plastic fans. I believe it will last longer than a cheaper plastic fan. I wish the price were lower though. Overall I am very pleased with this fan. great little fan.looks great too. Wow this is the best fan , the material all metals you don't see this quality any more. This a great fan. I thought that would be larger than it is. That is why I gave a 4. 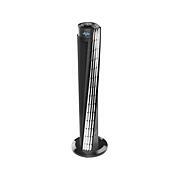 I have had several other Vornado fans and I love them. They send the air all over the room and keep it cooler. Get one and you will be glad you did.